Easter Sunday began with a very special Sunday service, featuring a number of reprised choir pieces from the celebratory end of the Oratorio. Rita also led the entire congregation in a dance to Velvali’s performance of “Children of God.” If you weren’t one of the volunteers up on stage with her, you have to try that next time. It’s a beautiful sight. 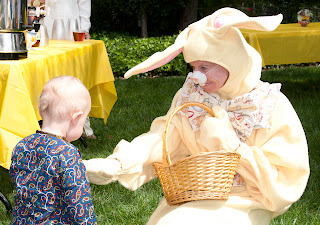 From there, we shifted our base of operations to the community courtyard, where the smaller-bodied among us very conscientiously divested the grounds of eggs. 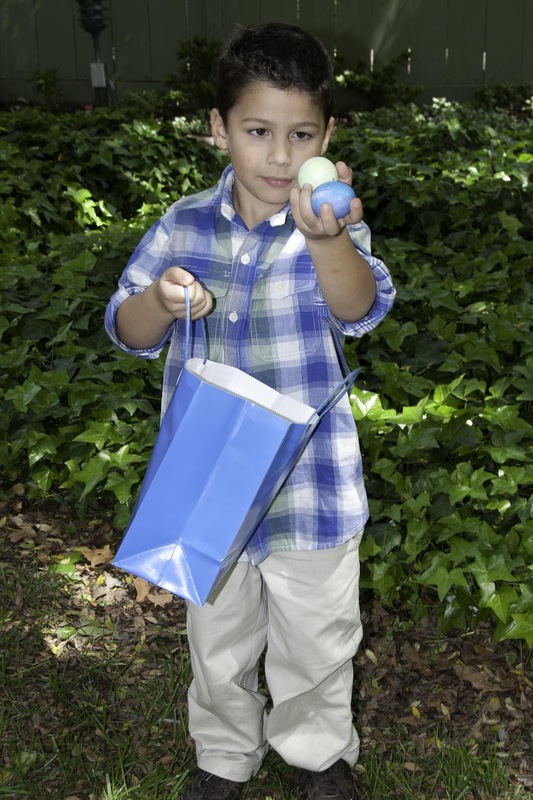 Our local Easter Bunny aided the proceedings and supplied “spiritual Easter eggs” to those of us too tall to compete for the ones on the ground. 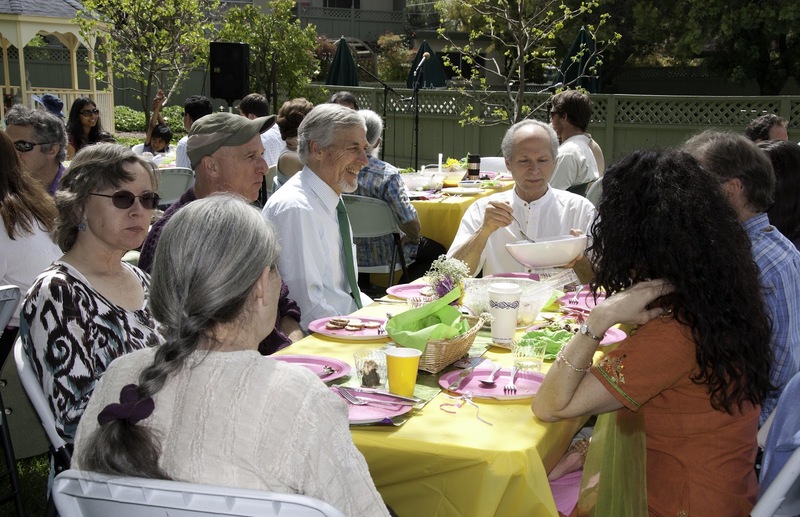 Our outdoor Easter banquet (in perfect weather, by the way) consisted of carrot-ginger soup, salad, spinach frittata, roasted potatoes, various tasty dessert items, and lots of laughter and fun satsang. And then, of course, there was the entertainment, which left no stop un-pulled-out. Graham performed a pair of Mary Poppins-inspired songs (can you say “sabikalba-nirbikalpa-karma-dharma-smritti” backwards?) 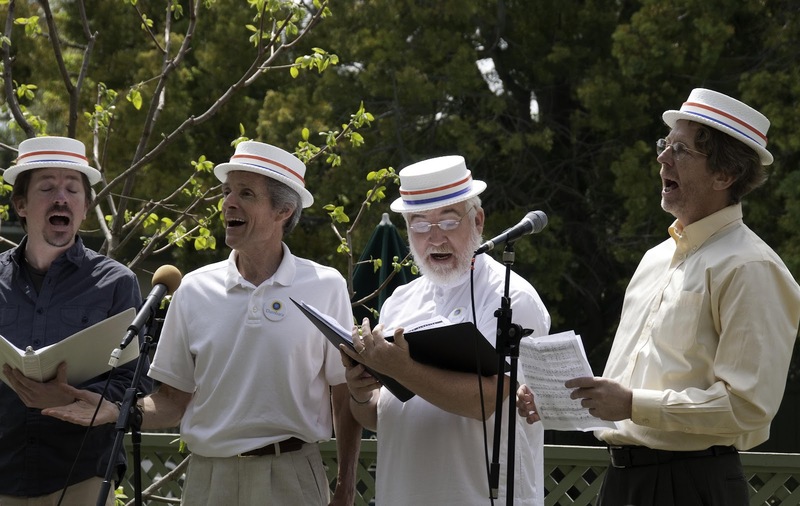 and a barbershop quartet brought us Zip-a-dee-doo-dah, to perfectly capture the mood of a happy, Springtime celebration. The grand finale was when “The Colony People” performed their hit single Y.O.G.A. Click all those links to find the videos and lyrics; they are not to be missed. And while you’re at it, here are all the photos. 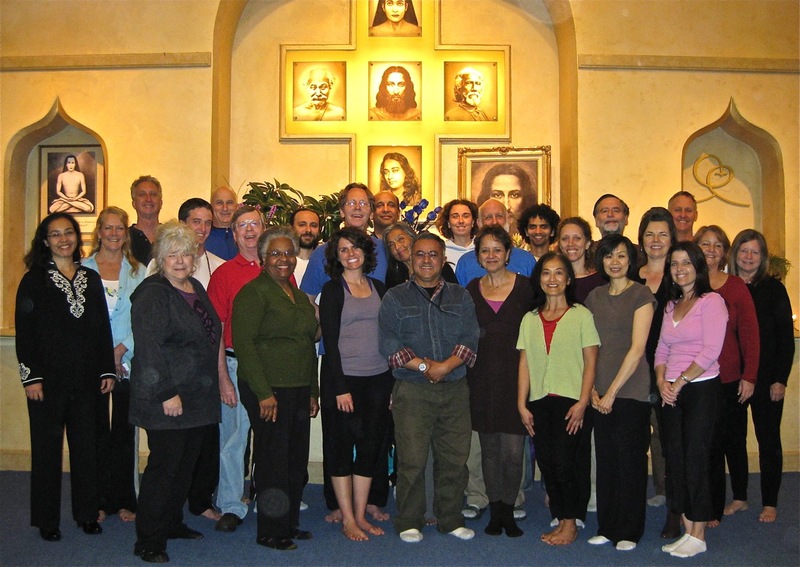 The three-month Raja Yoga class has always been one of the crown jewels of our offerings here. Read on as another delighted graduating class shares their impressions, in photos and testimonials.